To maximize space in our small house, we built shelves under the stairs. On one of the four shelves is our 'bar'. Again, to maximize the feeling of space, I used my go to mirrors. The back of the shelf is lined with unframed wardrobe mirrors. Next I added two stands of mirrored trays. Flanking on either sides of the double trays, are single mirrored trays. I also hung decorative framed mirrors over the wardrobe mirrors and added tiny lamps. The sunflowers from the mantle reflect so nicely in theses mirrors, adding in some fun summer color to this side of the room. The other end of the shelf has one of the single mirrored trays and a vintage box set in for a little color and texture. This completes the plan for this shelf in it's 'neutral state'. Now it's the fun part, adding in summer. 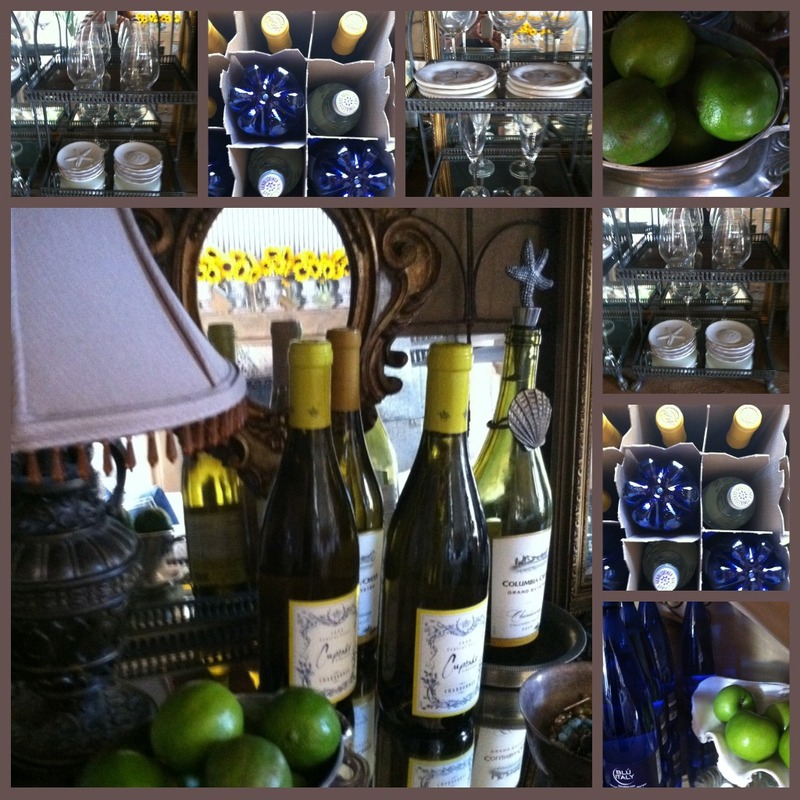 A trip to Trader Joe's for some blue waters, wine and limes which will add nicely to to the summer style. and welcome friends and family!